When I was on the radio, every year there was a big race to see who would hold the Christmas #1, both in terms of artist and record label. When it comes to comics, should the same mantra hold true, the champagne is popping at Marvel. After a hard fought year, the House of Ideas holds the top spot in December 2013, with a Unit Share lead of 5.43% over nearest rival DC. 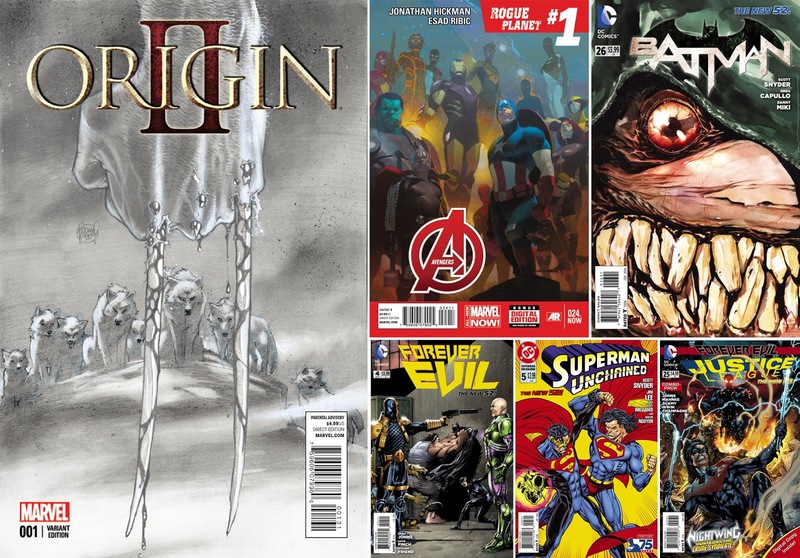 THE TOP 6 COMICS FOR DECEMBER 2013: 1) ORIGIN II #1 2) Avengers #24.NOW 3) Batman #26 4) Forever Evil #4 5) Superman Unchained #5 6) Justice League #25 - Full December 2013 stats after the jump. MY THOUGHTS: Apart from the fact Adam Kubert still knows how to do amazing covers with his eye closed, there's not too much to say on the December 'in-crowd'. It's a true representation of the year that was, with most titles either having rode the top-sellers list right the way through, or representing franchises or characters that had. With December out of the way, the figures can now be looked at in terms of the entire year. Marvel still comes out trumps, with an overall yearly win in terms of unit share of 3.62%. DC falls in behind, with Image Comics in third. MY THOUGHTS: There is such a timelessness to José Luis García-López drawing DC characters, I think that variant could easily be cover of the year. The legend truly is the 'Kirby of DC' and here's hoping DC (or any other publisher) have more inline from him in 2014. 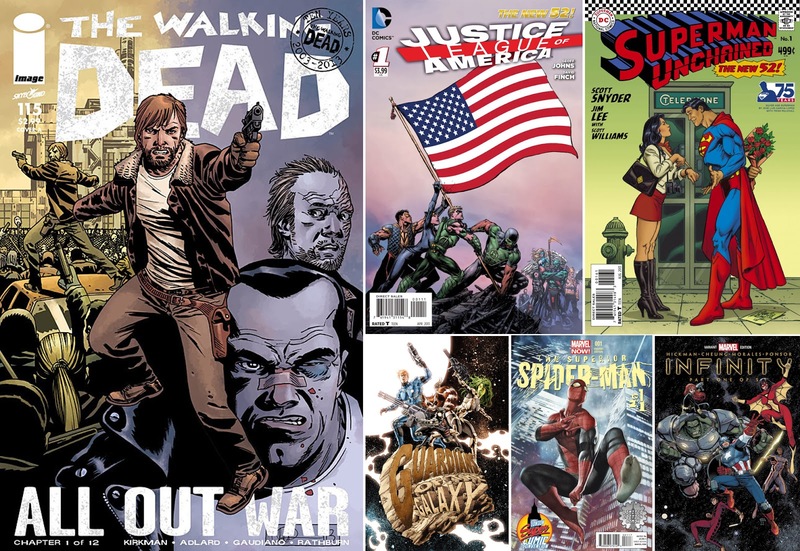 Having Guardians of The Galaxy, The Walking Dead, Art Adams, Jim Cheung, David Finch and Superior Spider-Man on this finals list shows what a great year 2013 really was - on with 2014! Hey Marcelo, good to see your icon pop up again! It sure does doesn't it. Hard to add on to such a high profile project as the original, but it has Sabretooth in it so that's already plenty of boxes ticked for me!